Ironwatch started as just a fan magazine for Mantic games. Now, they’ve got three releases of their own. The third one’s just been announced. It’s Tetra Firma and it’s a new expansion for Kings of War. It’s got a whole new setting in which you can play as well as 30 (yes, 30) new factions for you to pick from. 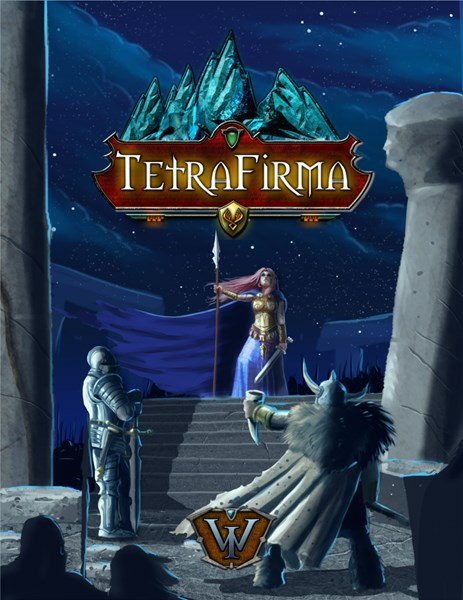 Announcing the third full release for Ironwatch Games, we’re proud to bring you Tetra Firma, from the mind of Christopher Binetti! Featuring a brand-new setting, this expansion for Kings of War adds a host of new special rules, a robust and deep magic system, and 30 new factions you can mix and match to create unique and varied armies to battle in this fantasy-historical setting. With custom cover art from Boris Samec, this robust expansion offers tons of new variety to help spice up your Kings of War games, and a brand-new and detailed setting to explore!